Enjoy all the best bits of airport parking, with none of the hassle. If you're looking for fast parking at the airport with none of the fiddly bits, Bristol's Meet and Greet is the service for you. Forget tiny bays and crowded transfer buses, this package lets you enjoy top-notch security, a speedy drop-off and easy access to the terminal. A driver will meet you at departures when you arrive. You'll just need to pull into the drop-off car park, which is right outside the terminal, and confirm your flight return details. They'll take your car to a secured car park and park it for you, leaving you free to head to check-in via the covered walkway. Your car will be in safe hands while you're away. It will stay in a secured car park close to the airport, which has perimeter fencing and CCTV in use for your complete peace of mind. Once you're back, just walk back to where you dropped your car off. One of the team will whisk your car back to departures while you make your way to the drop-off car park to pick it up. With no need to wait for a transfer or waste time hunting for your car, you're free to simply head straight home. Book today to enjoy all the benefits of airport parking, with none of the fuss! If you are a disabled passenger please let the car park know before you arrive. The car park can only fit cars that are less than 3.2 metres tall, less than 2.4 metres wide and less than 4.8 metres long. Follow the signs to the Express Drop Off car park. Drive up to the car park and the entrance barrier will open automatically. 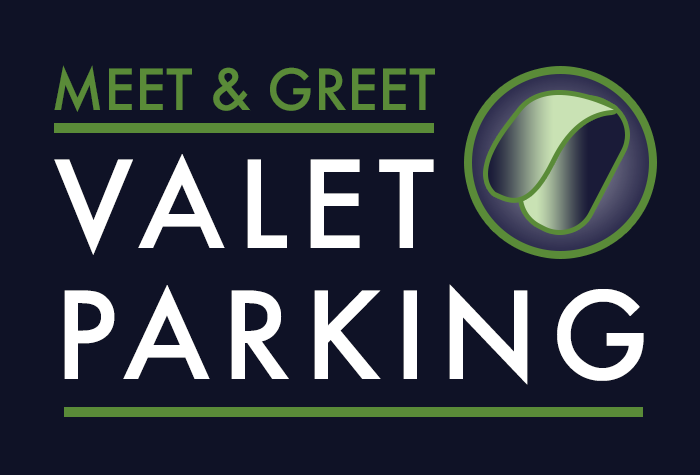 Park your vehicle in one of the bays near the Meet & Greet cabin, which is in front of the entrance barriers. Go to the cabin with your car keys, booking reference and return flight details and give these to a member of staff. They will then park your car for you in Bristol Airport 's secure, on-site car park for the duration of your trip. Once you have collected your luggage walk back to the Meet & Greet cabin within the Express Drop Off car park where your vehicle will be waiting for you. Your car will be parked in Bristol International's secured, on-site car park for the duration of your trip. Transfers are not needed - you drop your car off outside the terminal when you leave, and pick it up in the same place when you come back from holiday. Bristol airport Official Meet and Greet parking is great for disabled customers as there are no buses to board. All chauffeurs are fully insured to drive customers vehicles. very pleasureable experience, easy to find and use. Also saved money by using ukairportcarparks.co.uk to compare.